Post your DVD/ video/ slides to us at DVD Centre, 11 Burgh Quay, Dublin 2. Print and complete an order form and post your video to us. 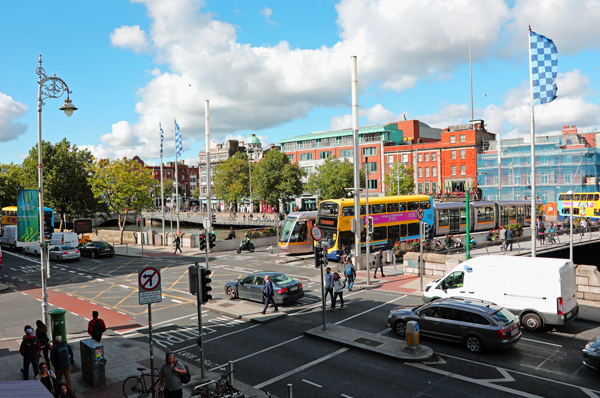 Our modern offices are based in Dublin City Centre, just a few minutes walk from O’ Connell Street, and are easily accessible by bus, Luas, and DART. DVD Centre is one of the best known disc and digital media companies in Ireland and the UK with over ten years of experience. Our number one priority is customer satisfaction, whether it’s a single tape conversion or a corporate client requiring archiving of video and audio tapes. Every CD, DVD or digital file is quality reviewed and visually inspected before it leaves our studios and we always ensure that your precious photos and videos are maintained in pristine condition when they are with us. We take the mystery out of the amazing technology that is DVD and digital video and provide solutions that make sense. The technologies are complex but our experts talk plain English and make them simple to understand. Our friendly and professional staff are always here to help. We are consistently upgrading our equipment and software to make sure we are up-to-date with the latest cutting edge technology. Call in to our studios in Dublin city centre and avail of our in-house experts, who upon request, will advise individually on projects and help to work within your assigned budgets to deliver a product that you will be excited about! Opening hours: Monday to Friday 9.30 to 5.30. Open during lunch.